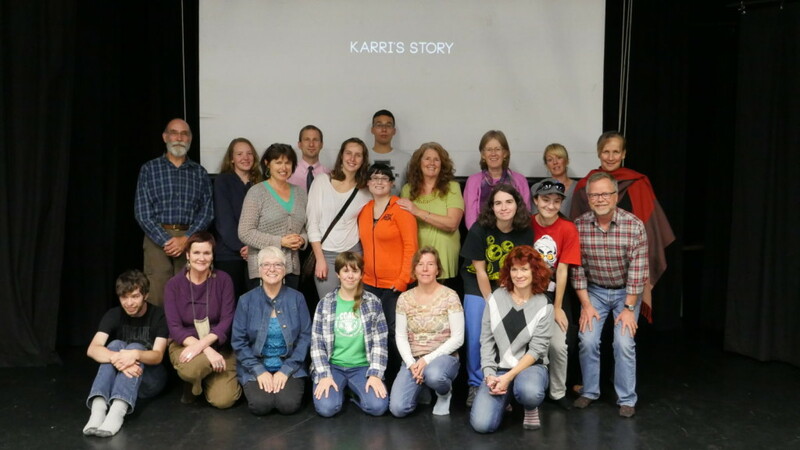 “Karri’s Story” – new short documentary — Watershed Productions Inc.
We had the official premiere of “Karri’s Story” on October 20th with Karri’s friends, classmates, and family in attendance. This eleven minute documentary tells the story of Karri, a young adult who has grown up with FASD (Fetal Alcohol Spectrum Disorder.) Holly Biggar (Producer), Robyn Sheppard (Director) and Carolyn McCartney (Karri’s mom) invited me to work on the this moving story about a girl becoming a woman, who, despite the numerous challenges of living with FASD, lives every day with the compassion and bravery we all wish to integrate into our lives. 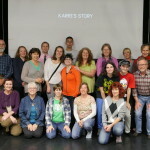 The documentary will be utilized in school settings and at educational conferences to raise awareness about people living with FASD with the aim to create more inclusive settings in both classrooms and workplaces. For a link to the film (active November 2015) visit the Provincial Outreach Program for FASD website (POPFASD). Sandy Boscariol from POPFASD worked as a consultant for the film and will be working to ensure the film is seen across the province. Posted on October 21, 2015	in Resource. Bookmark the permalink.